Today, Ubisoft has announced that Watch_Dogs, will be available in North America on November 19 for the PS3, Xbox 360, WiiU and PC, as well as at the launch of the PS4. The game is also planned for other next generation consoles. 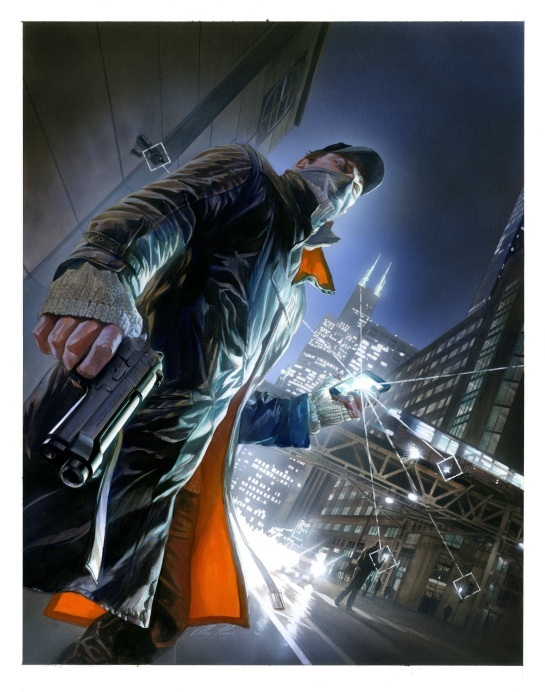 Players who pre-order Watch_Dogs at GameStop stores across North America will receive an exclusive poster designed by famed comic-book artist, Alex Ross. Ubisoft has also released a new gameplay trailer showing a never-before-seen district of Chicago. Check that out above and take a look at the pre-order poster below. Tags: Ubisoft, Watch_Dogs. Bookmark the permalink. Previous post ← Poker Night 2 Review: Poker…with References!